Holywood is a town on the County Down shore of Belfast Lough. 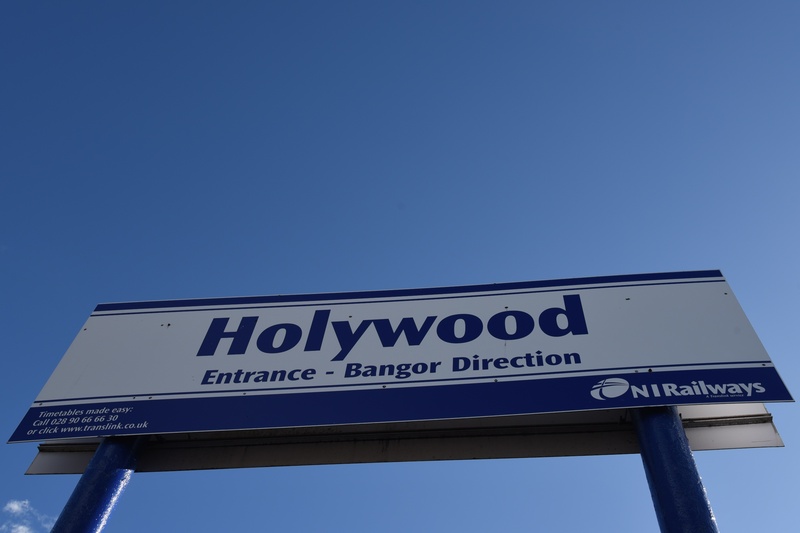 But did you know that Holywood is also a townland? Coming from Belfast, you reach Holywood townland when you cross Jackson’s Road. The railway station, the shops on High Street and Church Road, and the Maypole are all in this townland. Then the Twisel Burn river marks the boundary with Ballykeel townland. According to the PLACENAMESNI.org website, the English name Holywood has been used from the 13th century. There is no connection with the holly tree, even though we pronounce our “one-L” Holywood in the same way as the “two-L” American Hollywood. 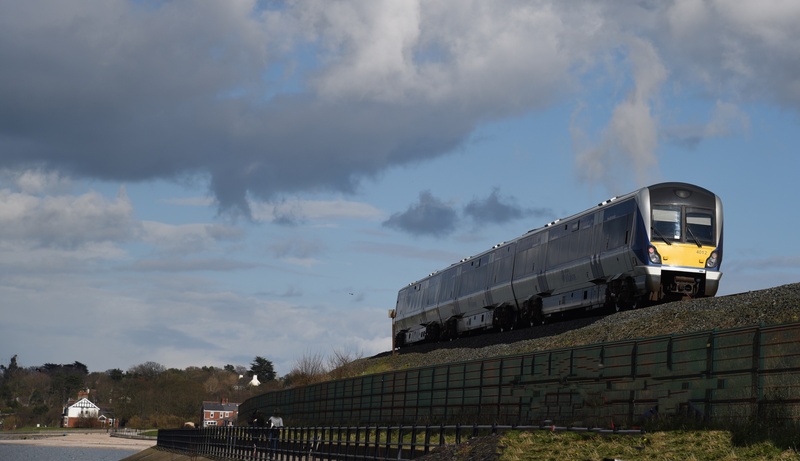 The opening of the railway in the 19th century brought holidaymakers from Belfast to Holywood, but when the line was extended, most of those tourists went on to Bangor instead. 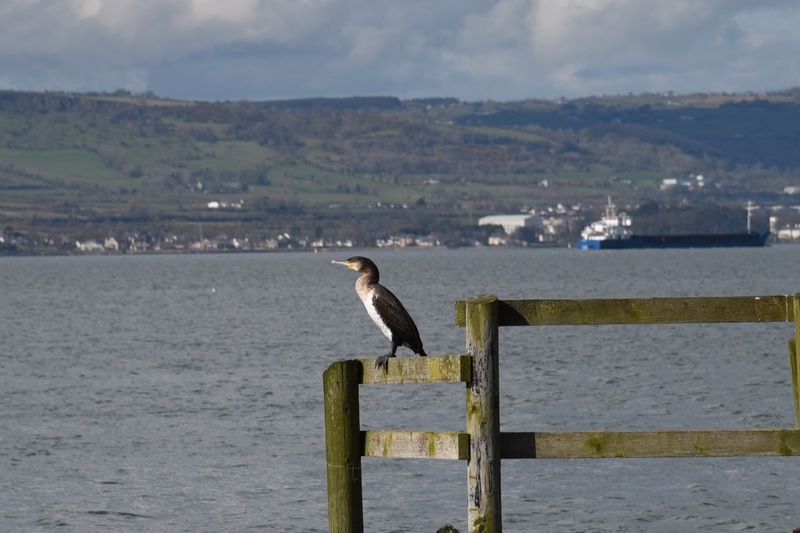 I watched the train heading off towards Bangor, then walked along the shore, past this cormorant, both of us looking across Belfast Lough to the County Antrim shore. 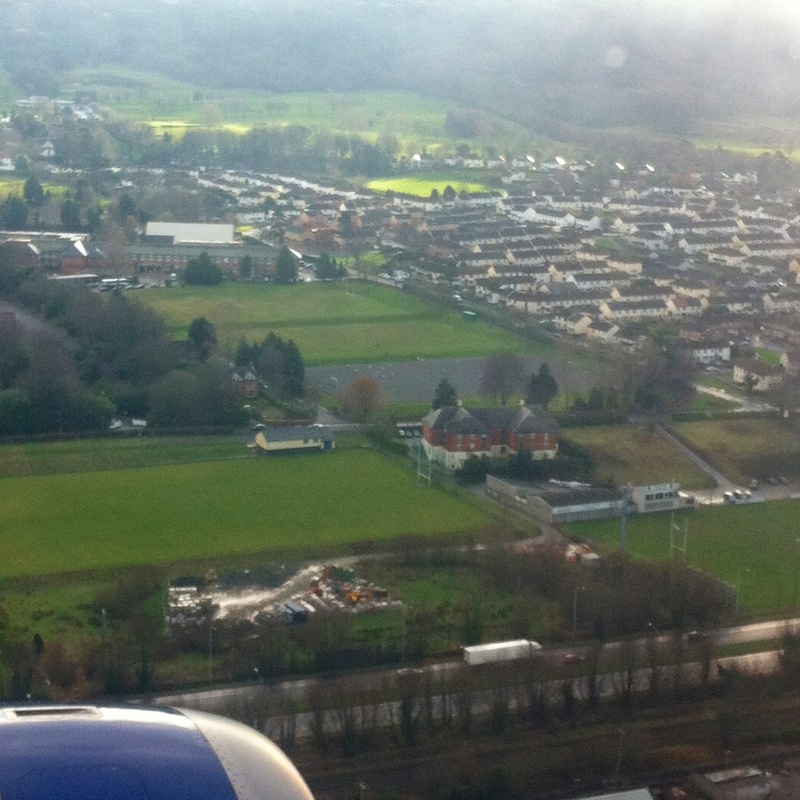 On another day, coming to land at Belfast City Airport, I had a good view of Holywood. In that photo you can see Holywood Golf Club and Sullivan Upper School. I went to school at Sullivan. 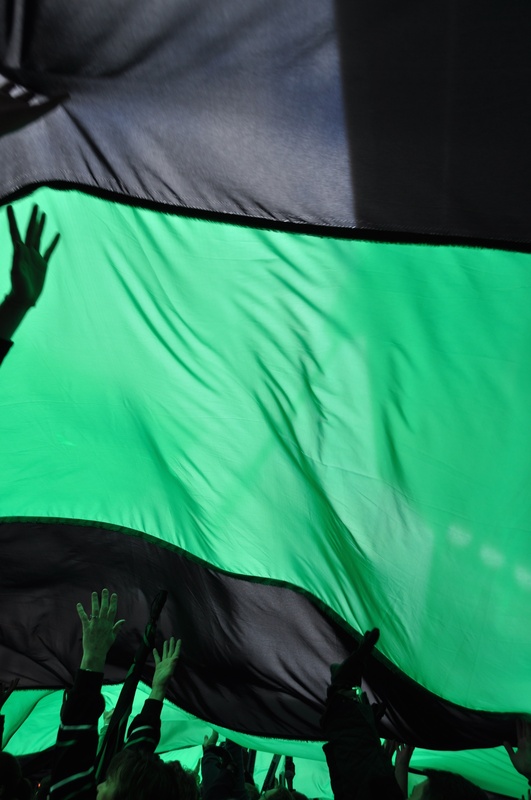 That was a long time ago, but in 2014 I was part of the crowd holding up this giant flag in the school colours at a cup final when my young cousin was still playing rugby for the school. None of the Cooper family are as famous (yet) as another former Sullivan pupil, the golfer Rory McIlroy. 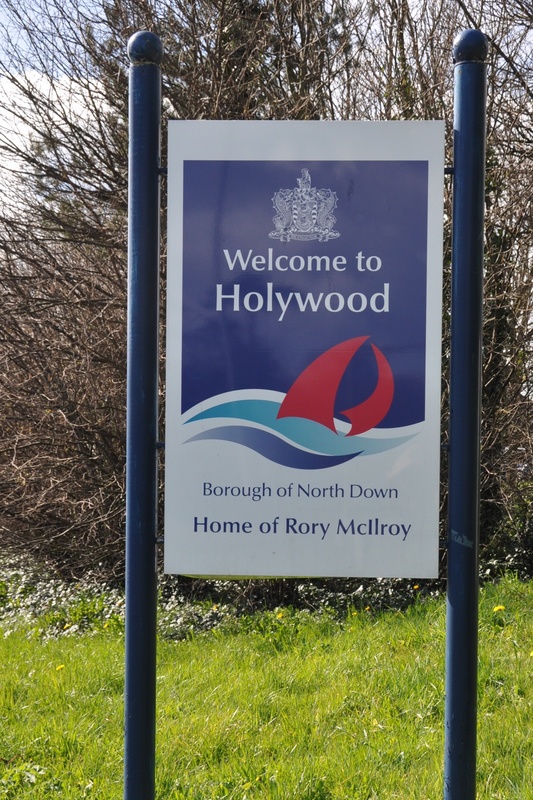 Holywood is proud of Rory, as you can see from this sign. The golf club is proud of him too. Have a look at this scorecard. I’m not so proud of my score, so you can’t see inside my scorecard! 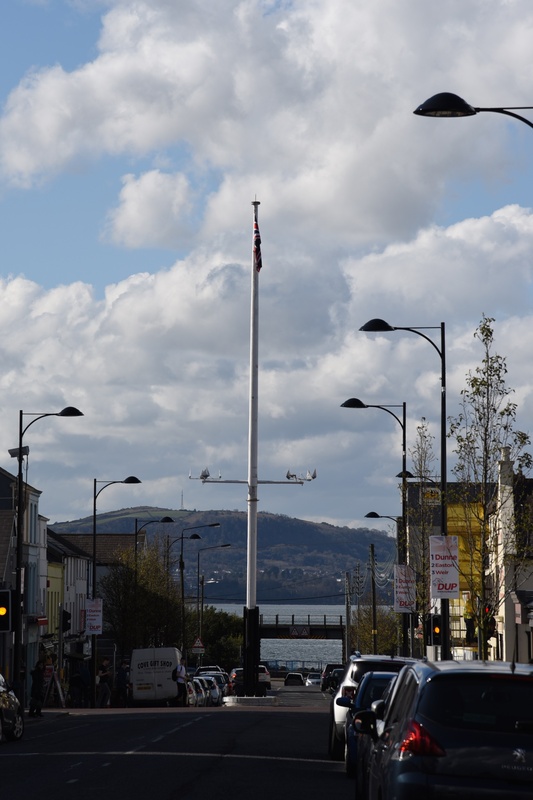 Click here for a map of Holywood on Townlands.IE. 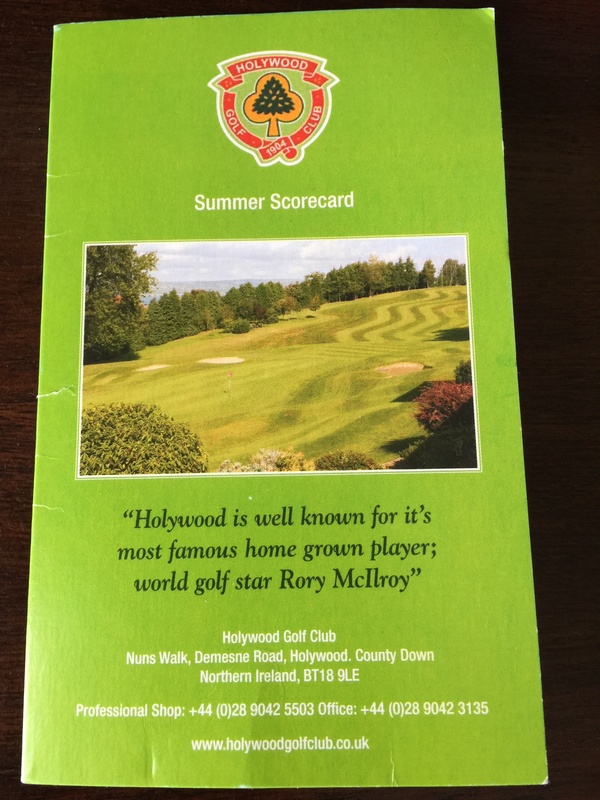 Which county is Holywood in? County Down. Which civil parish is Holywood in? Holywood. Which townlands border Holywood? To the north and east, Ballykeel. To the south, Knocknagoney (with the boundary running along Jackson’s Road). To the west, Belfast Lough. Mmm…I know those cinnamon scones. In fact I’m just thinking how silly I am for missing an opportunity for tea and scones when I was preparing this blogpost. Aw, which cafe is that? Need more of a clue as I’ve never had the scones?